Lots of angry commenters (probably rightfully so….) when I complained about my recent stay at a Hyatt Place. I just mentioned that I was not a fan of the “Charge you for everything model” that seems to be prevalent at Hyatt Place. 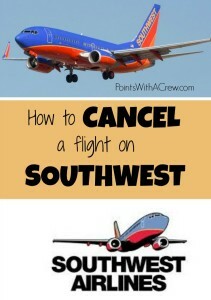 Southwest has the best cancellation policy of any airline out there! Confessions of an airport thief – a behind the scenes look at robbery rings taking places in airports and on airplanes.